Victory Talavera to Launch on Sept 18! | Victory - Honor God. Make Disciples. We’re excited to honor God and make disciples in Talavera! Led by the leadership team of Victory Cabanatuan, this church in Nueva Ecija has moved from its previous venue at the second floor of LandBank to a new center at the second floor of Amini Building, located along Maharlika Highway at Zone 6, Maestrang Kikay. Church planting efforts for Victory Talavera started in 2013, with Victory Cabanatuan’s leaders at the helm. From its humble beginnings, the church steadily grew in number. God’s hand is truly at work in this area of Nueva Ecija; last August 2015, Victory Talavera was able to conduct its first Victory Weekend. More leaders have been empowered to lead, and many Victory groups have been established. More students are getting discipled, and becoming disciple makers themselves. 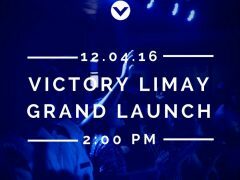 Join us as we celebrate the official grand launch of Victory Talavera on September 18, Sunday, 4:00 PM at the second floor of Amini building along Maharlika Highway; Sunday worship services and Kids Church will be regularly held at this new venue at 9:30 AM. Let us intercede for our leaders and volunteers as they prepare for the big day in the coming weeks. 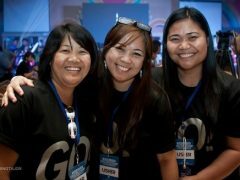 We are in faith that God will use this new church plant to reach out to more people in this part of the Philippines. Make sure you invite your family and friends in the area. See you there!